A New Way for Evaluating Teacher Effectiveness - Planet Aid, Inc.
How do you really know if a teacher makes a difference to students? This is a question that has plagued educators for a long time. The Gates Foundation decided to shine a bright light on the issue, in the form of a rigorous $45 million three-year study of teacher performance called The Measures of Effective Teaching (MET) project . “There is no widely agreed upon measure for teacher effectiveness that exists today, and that is precisely why we are undertaking this work,” writes the Gates Foundation on its website. Rather than simply relying on student test scores – which is how teacher performance is often evaluated – the MET project combined classroom observations and student surveys (evaluations) along with using student test scores. The study was a collaboration between dozens of independent research teams and nearly 3,000 teacher volunteers from seven U.S. public school districts. The MET project randomly assigned students to teachers who had previously been identified as more effective. Researchers discovered that the better teachers were able to repeat successes with different students in different years. In fact, their students not only scored well on standardized exams but also were able to handle more complicated tests. In terms of evaluation methodology, the study found that a second classroom observer increased reliability significantly more than having the same observer score the same teacher multiple times. Planet Aid applauds the Gates Foundation for funding this landmark study, and we believe it makes a vital contribution in raising the bar on the evaluation process. Planet Aid is working in developing nations to strengthen education, which is a cornerstone of all development. An acute shortage of qualified teachers exists in rural areas of Africa and Asia, and we seek to remedy this situation. Our teacher-training model inspires teachers to become self-driven, effective facilitators for change in both the classroom and in the community. 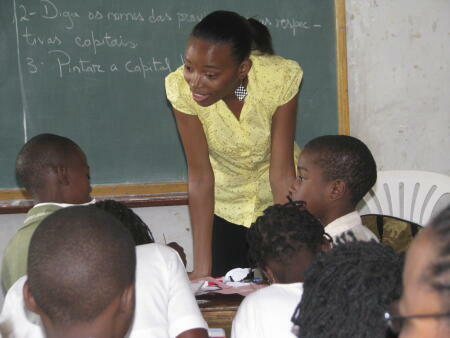 Read more about our education initiatives on our teacher training page.